Green Lantern Corps #15 offers readers several great dramatic moments. Unfortunately, these moments are dressing on a centerpiece that quickly descends into the realm of melodrama and never quite manages to escape it. 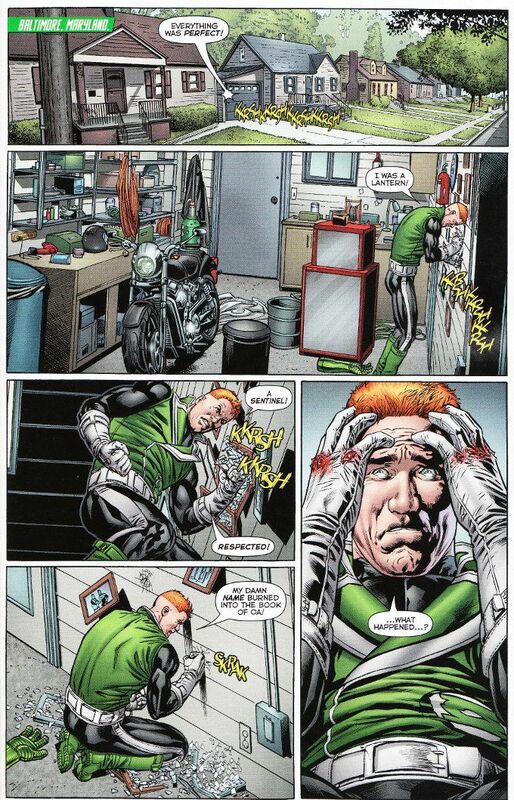 I speak of the on-going fall of Guy Gardner - drummed out of the Corps in the last issue and, as of this issue, stuck on Earth and desperate to prove that he can still be a hero to the father to whom he can do no right. The other subplots in Peter Tomasi's script are treated with equal weight but not equal coverage and I wish one of them had been the focus of the issue rather than another episode of "Everybody Hates Guy". 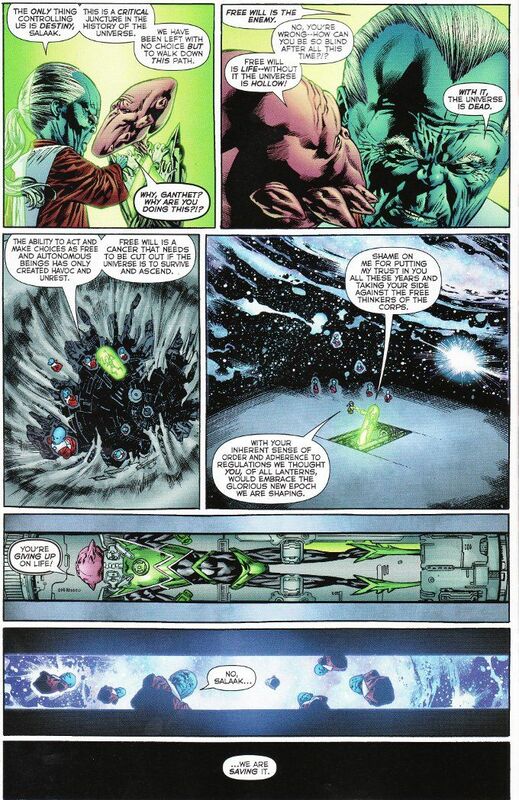 As a long-time Green Lantern reader who has been around since the Ron Marz days, I'm far more interested in reading about John Stewart being forced into an unlikely alliance with Fatality - ex-Green Lantern villain, ex-Sinestro Corps member, current member of the Star Sapphire Corps and, oh yes, the only surviving member of the ruling family of a planet that John Stewart failed to save. There's also the scene in which Salaak uncovers the treachery of The Guardians - easily the high-point of the issue, for what my money is worth. Though the script may be weaker than usual this time around, the art team is as strong as ever. Fernando Pasarin and Scott Hanna are easily one of the top five greatest art teams working today. Between Fernando's amazing alien designs and gift for depicting facial expressions coupled with Hanna's talent for knowing when to merely add definition and when to drape the pencils with blackness, every panel of this book is poster worthy. While this isn't a good issue to enter into reading this book, I still recommend it to all fans of science fiction comics and series with strong ensemble casts. While the story is weaker than usual this time around, a weak Peter Tomasi story is still better than three-quarters of the books on the market and this is still easily the best of the Green Lantern family of books.